Step into the playful, graceful world of sea lions, learning some of the hand cues used by their trainers. Make a new friend as you take to the water for a unique opportunity to swim with a sea lion in their habitat for a playful, educational and interactive experience. During this amazing program, you will receive a performance—and a kiss—from a sea lion. You'll also get to act as a trainer and learn to communicate with the sea lion using hand signals. Provide your own transportation to Sea Life Park. Check in at Sea Life Park, which is located in Waimanalo town on Oʻahu's South Shore, at 9:30 AM. 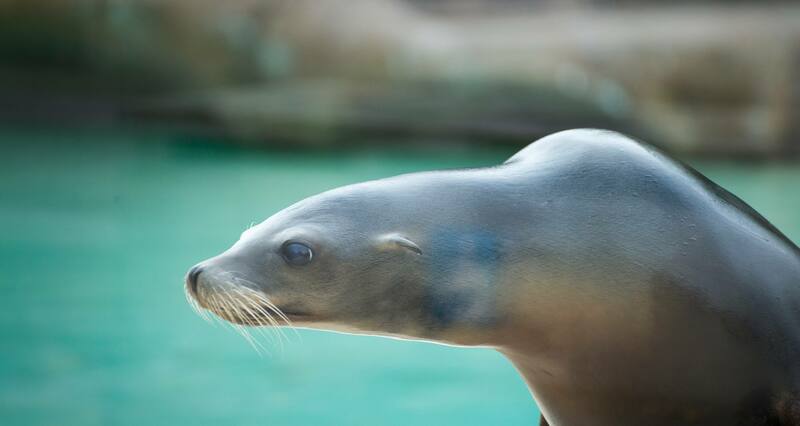 Take an educational swim in the tank inhabited by the park's friendly sea lions, learning about their habitat and even the hand cues used by marine trainers who work with the animals. The encounter will last about 25 to 30 minutes, during which you might even get a whiskery kiss! Enjoy Sea Life Park – admission is included with your activity ticket purchase. Make a new friend as you take to the water for a unique opportunity to swim with a sea lion in their habitat for a playful, educational and interactive experience. Guests must provide their own transportation to Sea Life Park. Enjoy the adventure together, as children (8 to 12 years of age) may participate, provided there is a paying adult, 18 years or older, in the water with them at all times. Admission to Sea Life Park is included with activity ticket purchase. Children must be well-behaved and follow all instructions in order to participate. The activity is approximately 45 minutes long and includes an orientation, safety briefing and 25 to 35 minutes of interaction in the water. Pregnant women are not permitted to participate in this program. Due to the physical nature of this activity, all participants must be in good physical condition, with no back or neck problems, and have the ability to get in and out of the pool without assistance. Guests must bring a swimsuit and towel. Sea Life Park has a rinse station and changing area, however, no showers are available. We encourage Guests to bring a camera to take advantage of numerous photo opportunities during the excursion. All participants or their legal guardians are required to sign a release of liability waiver prior to participate in this activity. Anyone acting in a manner which threatens the safety of the animals, themselves or other people (including without limitation unruly or disruptive behavior or failure to follow directions), may be removed from the activity without a refund. Cancellation is required 48 hours in advance of activity time or full ticket price will be assessed. This supersedes any other written policy.